Flowers are one of the most expensive parts of weddings and yet it’s difficult to picture a modern wedding without copious amounts of them. When I got married I had far more time than money (we had a two-year engagement) so I used that time to craft all the paper goods, decorations including the flowers and even part of my wedding dress. In this video, I’ll show you how to make four types of flowers out of coffee filters that I’ve dyed with Fireworks Craft Spray and Walnut Ink, making them completely customizable to your wedding, shower, or party theme, as well as how to turn them into boutonnieres and small bouquets. Planning to make wedding table decorations? I’ve planned out an idea for this that is based on easy-to-find supplies, not requiring crafting machines or things that would be difficult to use after this project is complete. I also was interested in it being easy to prepare but still elegant. By creating several easy-to-make matching pieces, the cost of the basic crafting supplies is still quite low per setting. 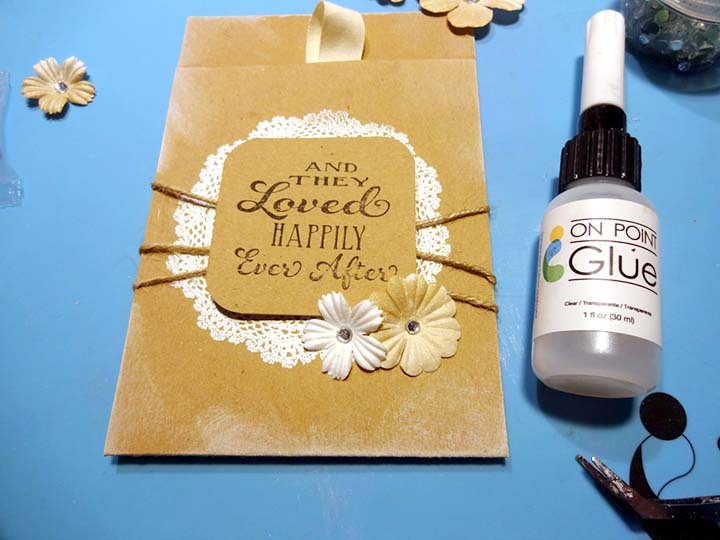 Using the kraft cardstock as the background, you have the option to play with more color choices on the embossing powder or the dyed flowers with the Fireworks! Simmery Craft Sprays. 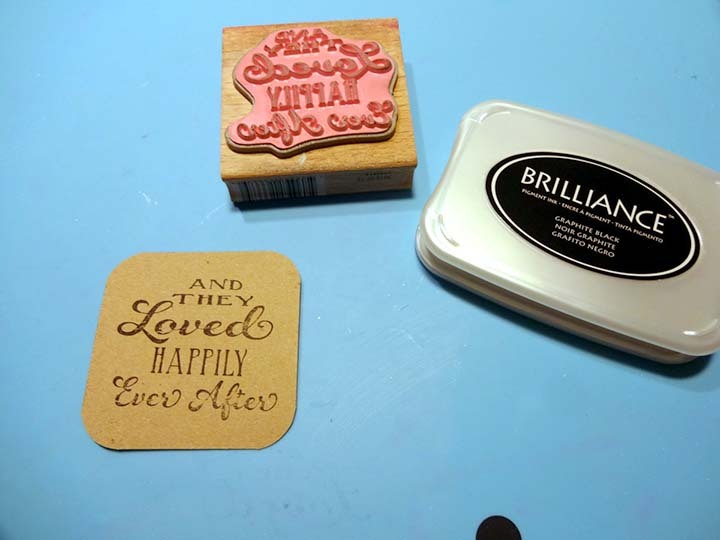 Instead of using the Imagine white embossing powder, you could stamp the design with Brilliance Moonlight White that gives a good result on the kraft paper and reduces the process time. However, the result with the Imagine’s white embossing powder is brighter and the embossed texture on the surface is more impressive. I estimate of the cost for 100 place-settings is about $150. One A3 kraft page makes an entire setting. Cut a 6 x 3 inch piece of kraft carstock (for the napkin ring) and a 6 x 8 inch piece (for under the cutlery). 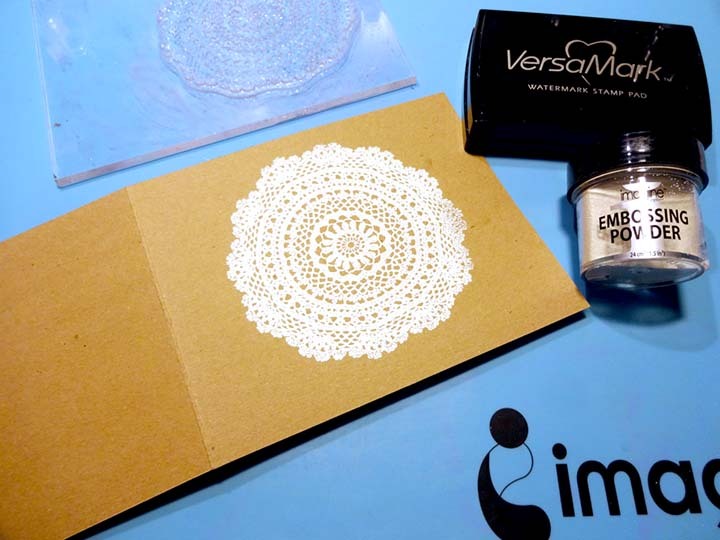 Stamp both pieces with the doily image with VersaMark, cover with the white Imagine Embossing Powder and heat set. Distress the edges of the above pieces with Brilliance Moonlight White inkpad. 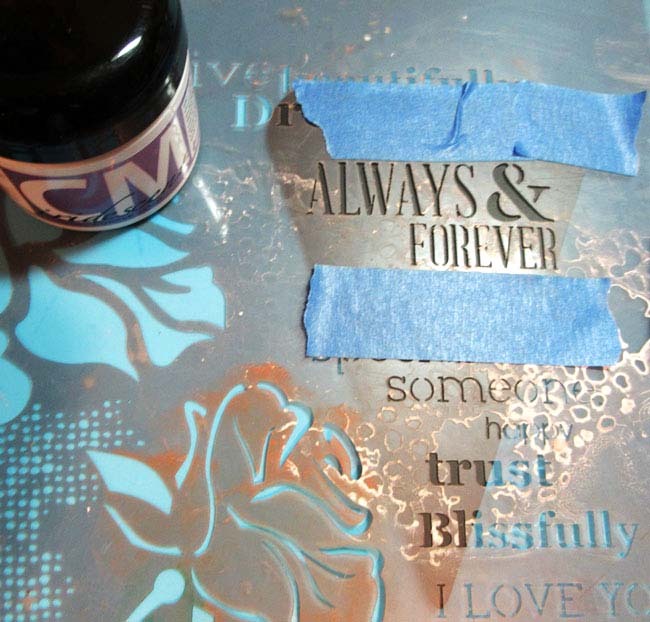 TIP: Step 1 could be completed using Brilliance Moonlight White under the embossing powder if you do not already own a VersaMark inkpad. 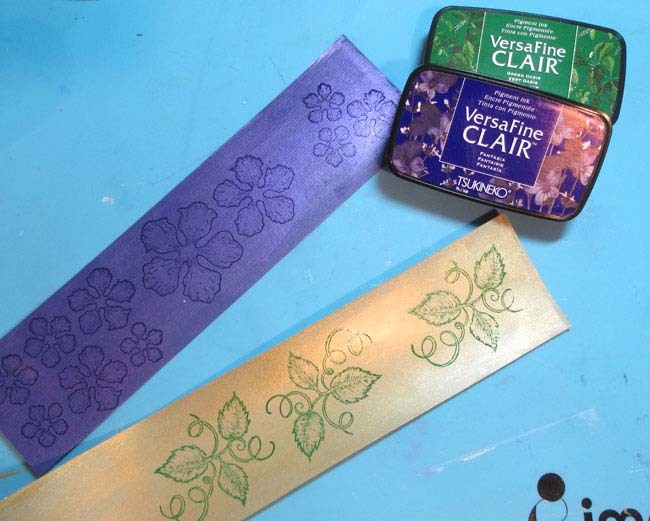 VersaMark is the best ink to use for embossing, but the Brilliance pigment ink would work as well. Set a piece of the Tear It Tape on the edge of the napkin ring card piece and bend the card to make the ring. Cut a 12 x 4 inch piece from the kraft paper and score on 6 ½ inch mark. 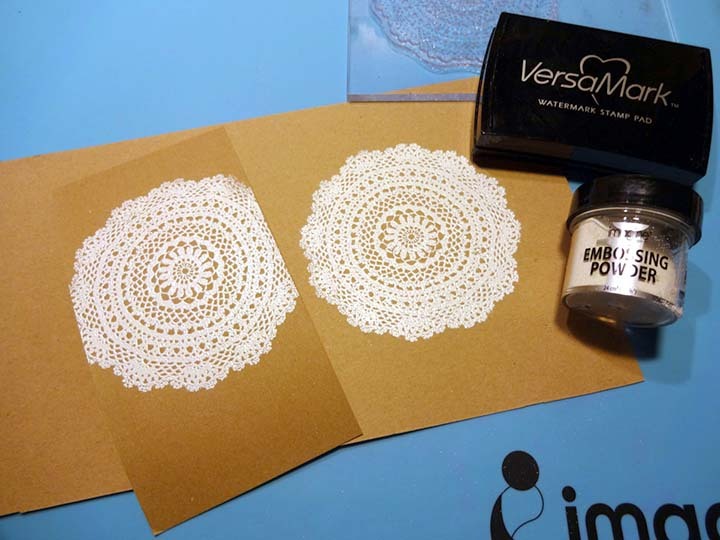 Stamp and heat emboss the doily design as previously done. Turn to backside and set Tear It! Tape on the left and right sides of the shorter part. Fold and secure. This makes a pocket to use for a thank you card or as a favor; glue a bit loose to allow more space if you place something thick. 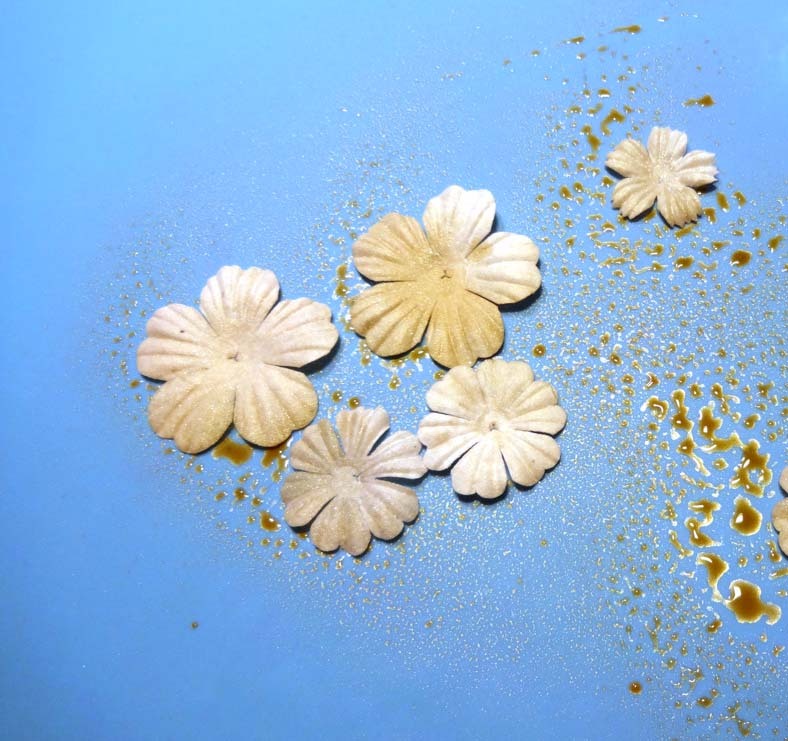 Spay some of the white paper flowers with the Fireworks Shimmery Craft Spray in Desert Sand. Let them dry. 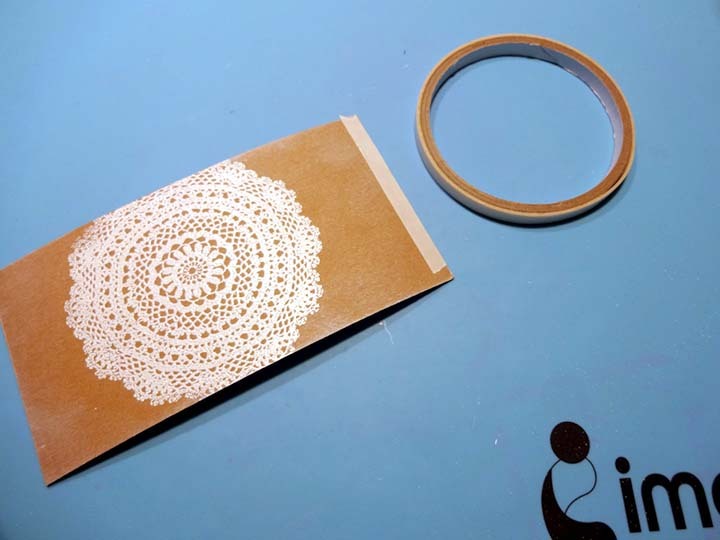 Cut a 2 ¼ x 2 ¼ inch kraft paper piece. Stamp the sentiment stamp with Brilliance Graphite Black. Let dry before stacking, or use heat tool to speed up the drying time. For extra elegance, use a corner punch to round the corners. TIP: Later you will use StazOn Jet Black ink for another piece. 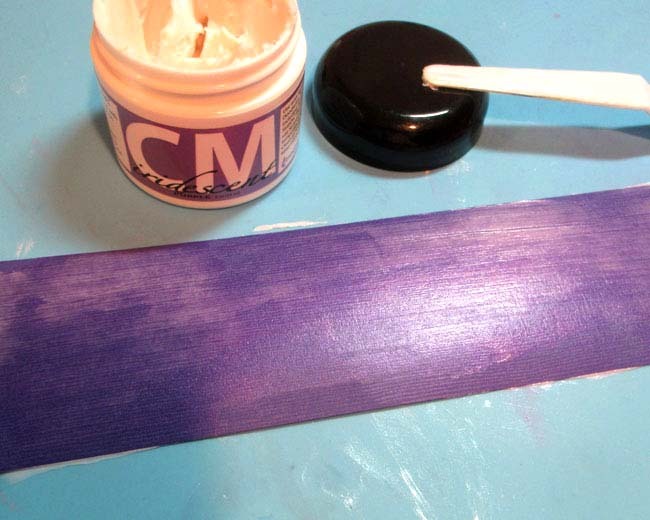 You could use that ink for this step as well, but the Brilliance pigment ink will show up more solid or opaque on the kraft cardstock which is why I recommend it here. 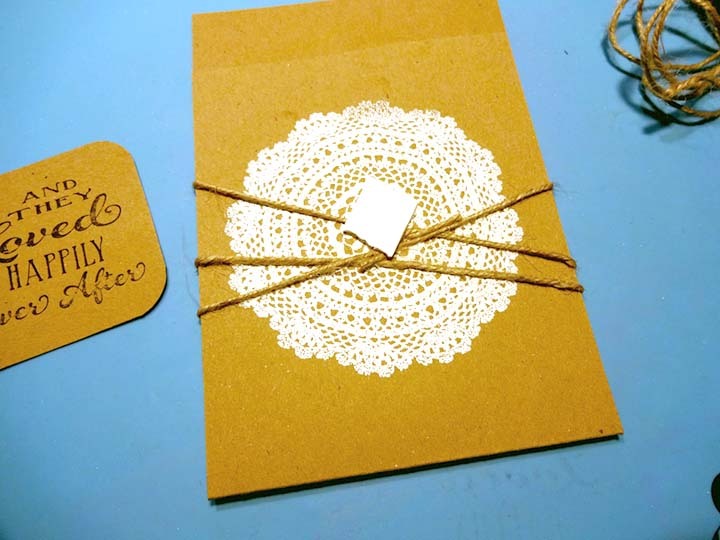 Wrap some burlap cord around the pocket card, add a piece of the foam tape and place the quote card piece. 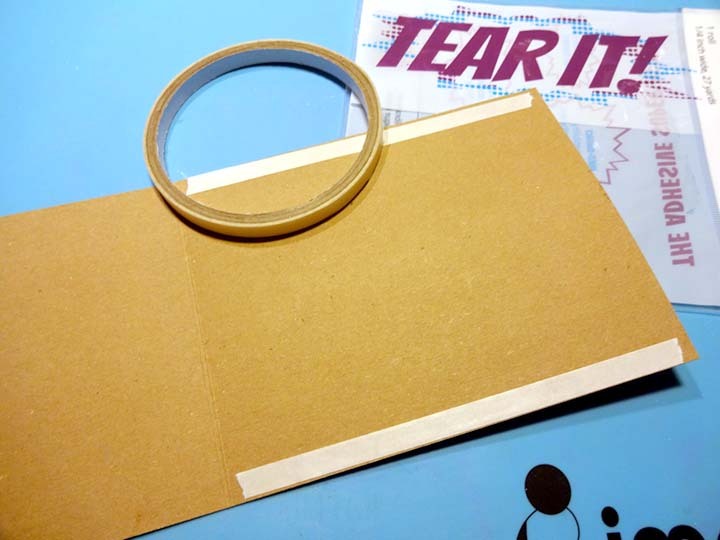 TIP: For a little less volume, you could secure the sentiment with Tear It Tape as well. 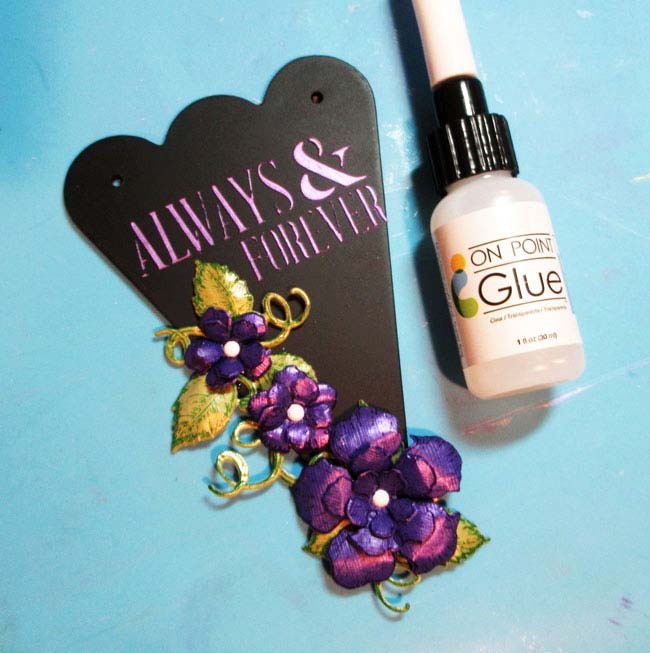 Add paper flowers and rhinestones gluing with the On Point Glue. Fill this simple envelope with a small favor or the menu. Wrap burlap cord around the napkin ring, add a large a flower and a rhinestone in the center of it using On Point Glue. 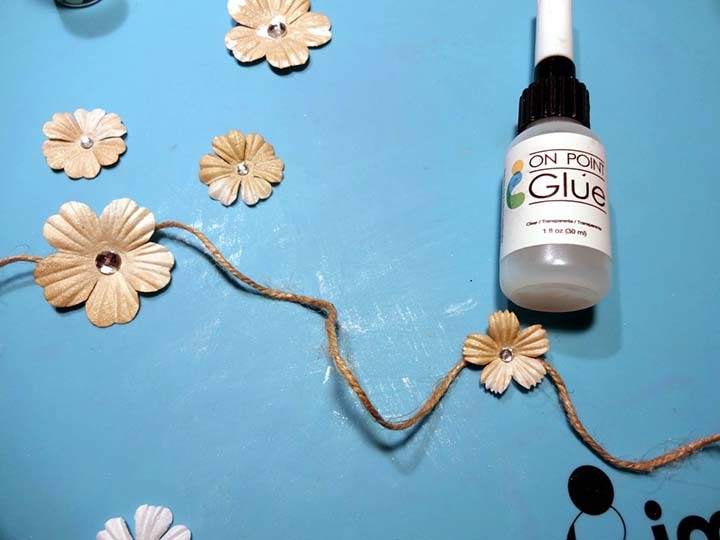 Glue paper flowers on a large cutting of burlap cord to create garlands for the table decoration. 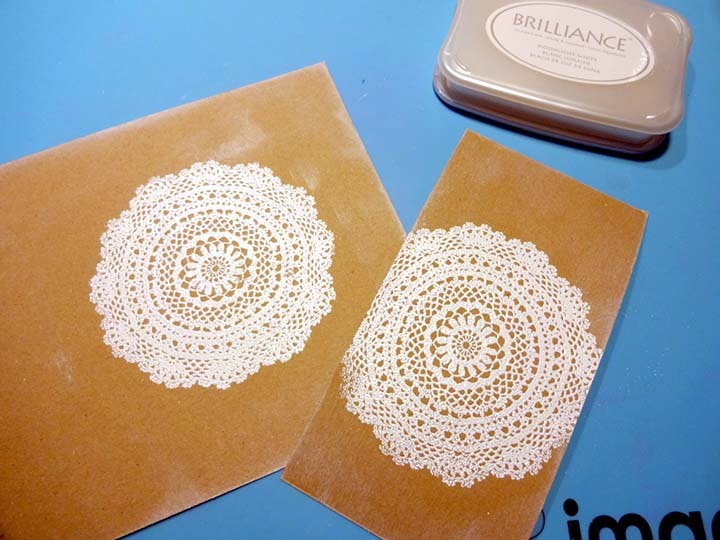 Stamp paper doilies with sentiment stamp and the StazOn Jet Black inkpad. 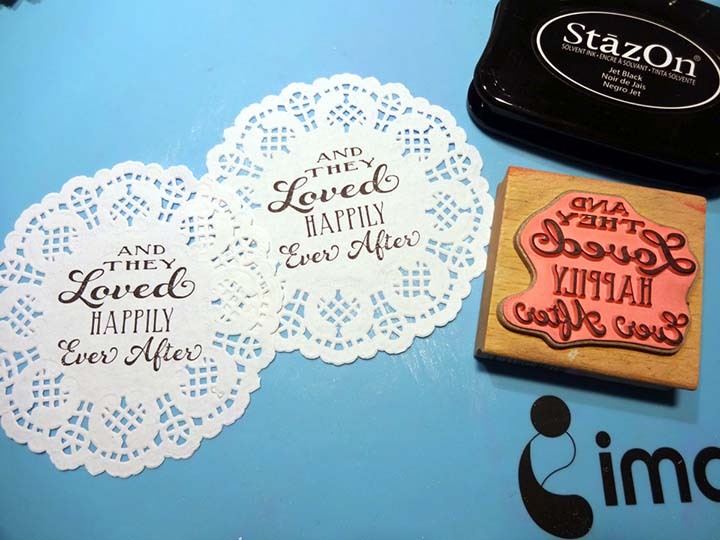 The StazOn ink will stay put on the doilies when they are used as coasters and won’t bleed if they get wet. 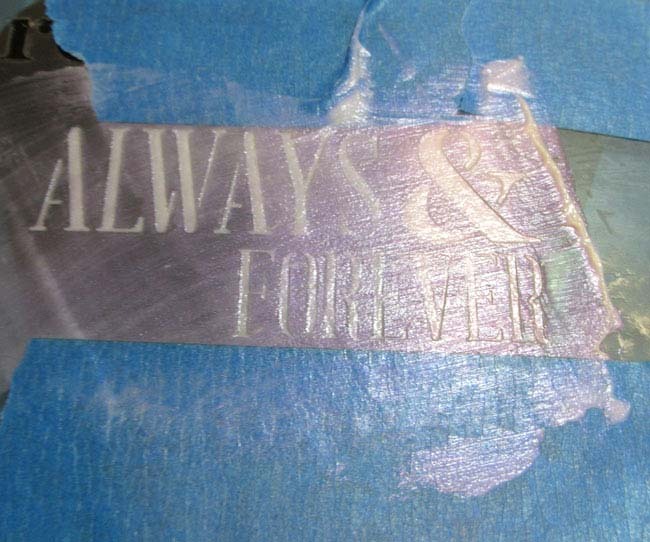 It also dries very quickly, so the stamping for these pieces can go very quickly. The time to make all of these pieces can be reduced with preparation. Cut all the papers in advance (or even have them cut and scored to specification), estimate the flowers you will need to color and spray all at once so they are all dry before using them, and cut the cords you need in advance to reduce the time of pulling it all together at the end. 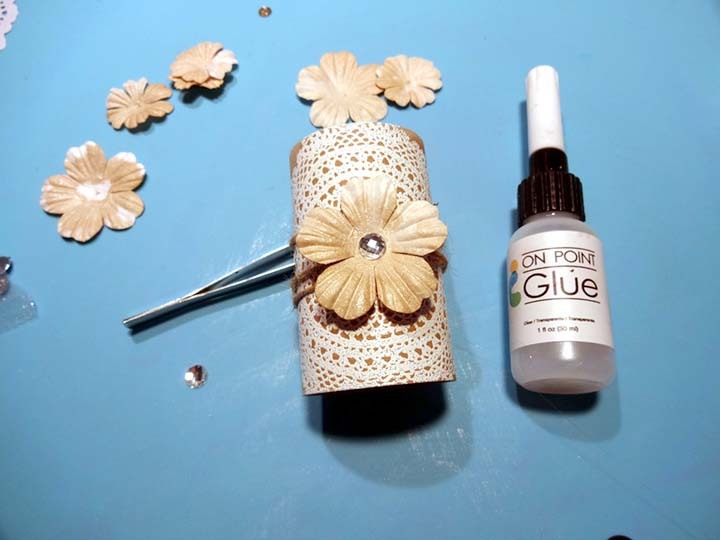 Wedding season is fast approaching and Brides-to-Be are all over the internet looking for swoon worthy ideas on Pinterest, the Imagine Crafts blog (see what we did there? ), Google and more. But those beautiful floral arrangements and must-have invites can take a huge bite out of your budget! Weddings are expensive, it depends on where you live but it can range anywhere from $15,000 to $31,000 (here’s a realistic break down if your curious). 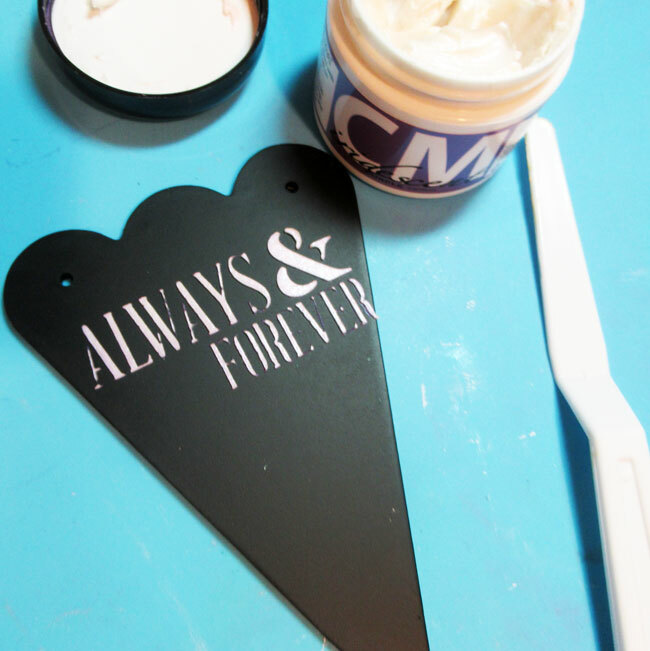 If you would rather save your money for the honeymoon than break the bank on over-the-top invitations we have some great DIY creative and budget friendly alternatives for all aspects of your special day. For more fabulous DIY wedding decor inspiration check out the video below! 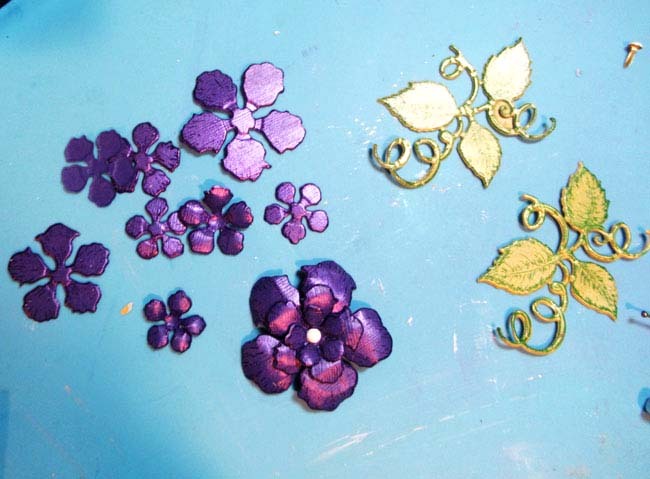 Tina McDonald shows you how easy it is to make beautiful wedding decor using Versamark and Embossing Powder. Who says you have to spend a fortune to have your special day look like like a million bucks? 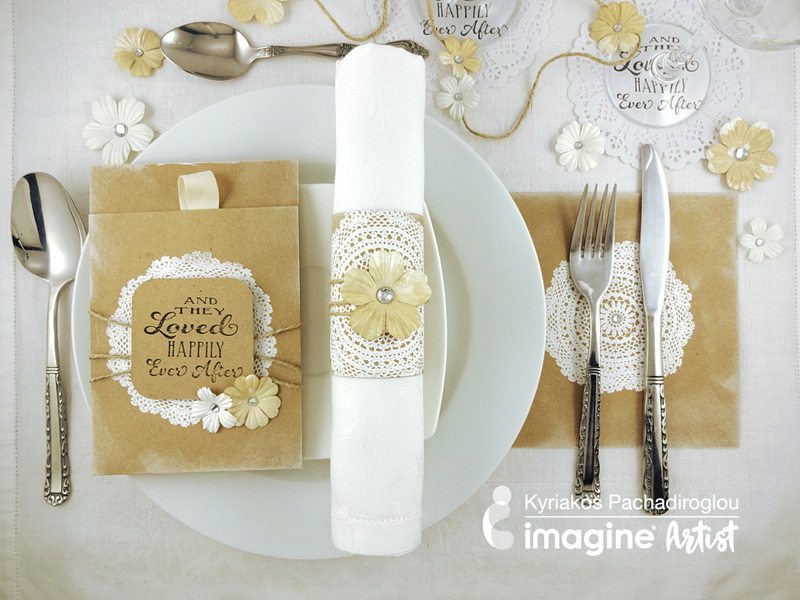 Find the necessary products and other wedding decor ideas on the Imagine Crafts “MAKE” page! Wedding season has arrived folks – couple’s everywhere will soon be walking down the aisle to profess their love or one another and skip off gloriously in to the sunset. We’ve made life a little bit easier for you with a weeks worth of wedding inspiration! 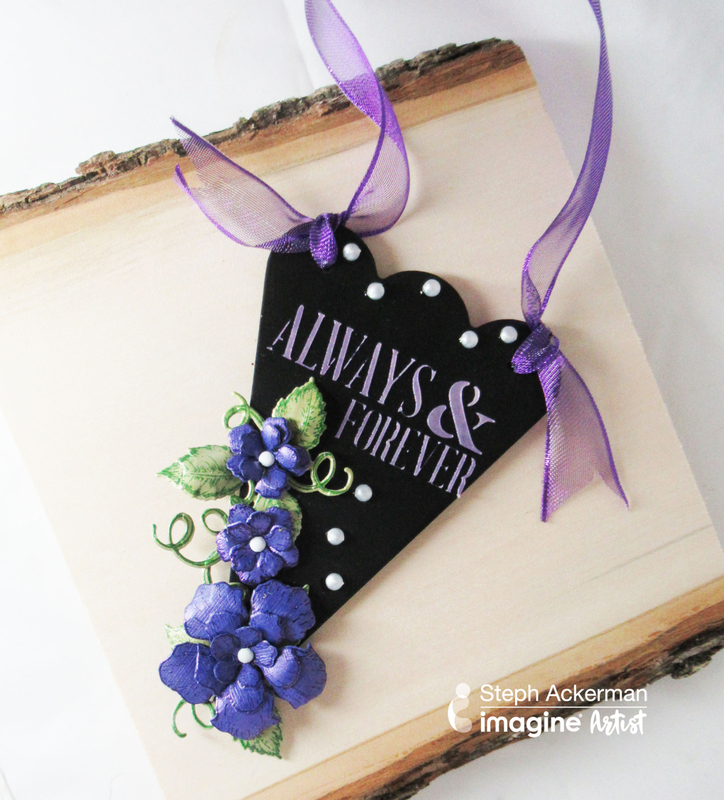 Whether you are the one walking down the isle, your best friend, daughter or granddaughter; incorporating handmade items adds a perfect sentimental touch to the whole day. I can’t sew but that doesn’t matter, there are tons of possibilities to create individual fabric projects without using a sewing machine. Go along with me and let’s discover them. More and more couples decides to celebrate a vintage themed wedding. Vintage weddings are kind of romantic and elegant with a touch of past times. It can be defined very individually but the romantic touch is always presented. This really romantic sparkling flower clip can be used in several ways: the bride’s hair, the groom’s buttonhole or, in a bigger dimension, as wedding bouquet, or for any decoration. Click on the link above to find out all the necessary products to create your own vintage hair clip. Share your creative wedding ideas with us on Facebook or comment below!